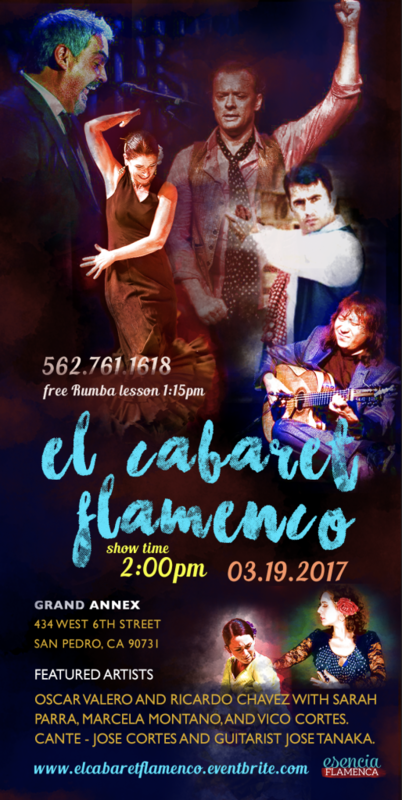 Join us Sunday March 19th at 2pm for a Flamenco show that will knock your socks off! Featuring star Flamenco dancers Oscar Valero , Ricardo Chavez, Sarah Parra, Marcela Montano, Vico Cortes accompanied by Jose Tanaka and singer Jose Cortes. This is a show you don’t want to miss! Enjoy presale prices now – go up $5 on March 1st.